Cigarette Smoke Odour Removal, It CAN Be Done Successfully! If you ask most people what the most obnoxious and disgusting odour is to them, most will say old stale tobacco. It gets into EVERYTHING, and if you are in the room long enough it gets on you as well. 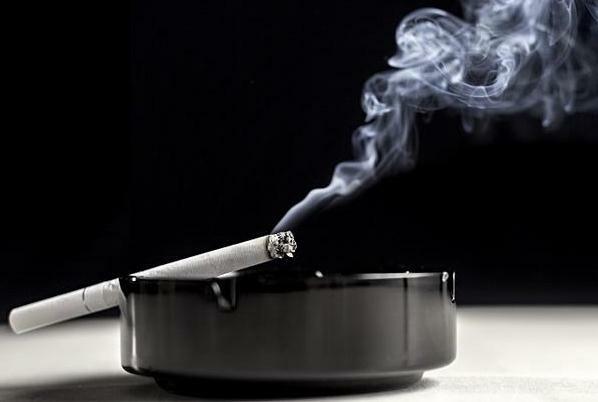 For this reason most smokers don’t smoke in their homes because it ruins the smell of the home and the tar and nicotine in cigarette smoke stains walls, ceilings and everything in the house. The big problem happens when someone doesn’t smoke outside but decided to smoke in their garage, or worse, IN their home. At this point the home gets completely contaminated. This includes the air duct system, which in turn distributes the odour throughout the home. At this point there is no part of the home that isn’t affected. When it is time to sell a home that has been smoked in, it presents a real challenge as the majority of people don’t smoke and even if they do they really don’t want a smoked in home. With the housing market as flooded with homes, there is plenty of homes to choose from it becomes a daunting issue to deal with. The fact that the majority of the population are non smokers makes it even tougher to sell. There Is Hope For Smoke Odour Removal! So When asked if Tobacco Odours can be removed from a home, the answer is YES! But… Only if done by a certified professional who specializes in Smoke Odor Removal. The IICRC has a certification for Fire and Smoke Damage Technician, and this is the ONLY Certification that counts. There are companies in the marketplace today that claim to be “Odour Removal Experts” but unless they have their FSRT Certification they are not qualified for the work. The Process Involves a complete removal of the source (Tobacco Smoke Resin), HVAC Cleaning and Encapsulation, ULV Fogging with Smoke Odorcide, and Ozone Shock Treatment. Once all of these steps are taken, we can offer a 100% Guarantee on our Services. For More Information About Our Services, Call Us Today at 613-276-8667 or Click on the Contact Us Button Below To Submit a Request For a Quote.